I've always wanted to play with one of these, but the opportunity has never been there. I cut my teeth on early hip-hop and electro, with the likes of RUN DMC, Newcleus and Sugar Hill Gang (yes, I used to break dance too, that was a LONG time ago). 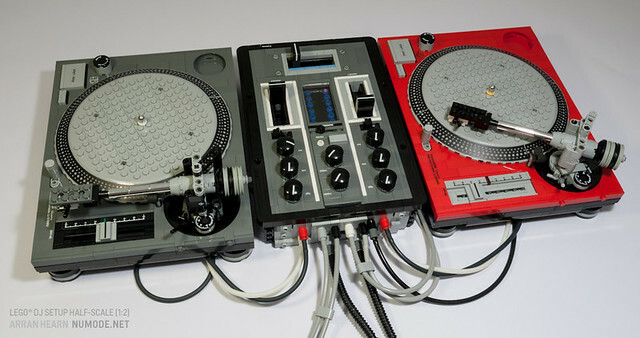 This half-scale twin Technics setup by delta.triangle makes me want to break out my vinyl.